DAVAO CITY, Philippines – President-elect Rodrigo Duterte plans to make good on his controversial campaign promise to bury the late dictator Ferdinand Marcos Sr in the Libingan ng mga Bayani (Heroes’ Cemetery). “That can be arranged immediately,” he said when asked when the burial would take place. Duterte granted media interviews on Monday night, May 23. He admitted that the move may disgust some who don’t believe Marcos deserves to be treated as a hero given his human rights abuses during his dictatorship. But he said there are other reasons for the burial. “I will allow the burial of President Marcos sa Libingan ng mga Bayani not because he is a hero, kung ayaw ng iba (if others dont’ like it), but because he was a Filipino soldier, period,” he said. He repeated earlier statements that Marcos’ burial would initiate “healing” among the Filipino people. “It has long created a division among our people. 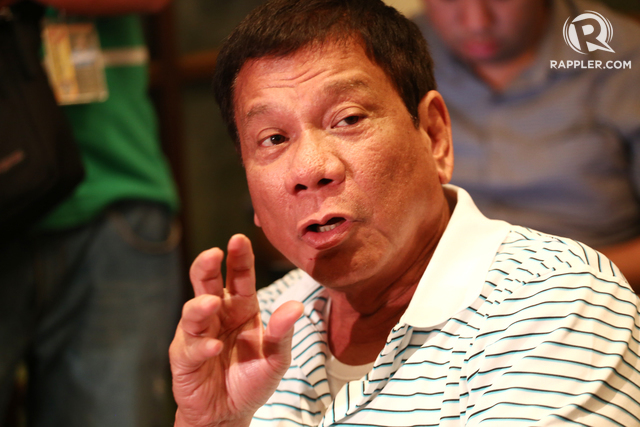 Almost all Ilocanos naghihinakit talaga(are hurting because of it),” said Duterte. And what about the victims of human rights abuses? 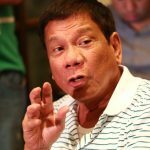 Duterte said monetary compensation is already available to them. Marcos’ burial on his birthday on September 11 – he would be 99 years old if he were alive – would be “okay” with Duterte. “I don’t mind as long as it’s the appropriate time to bury him,” he said. Duterte first promised to give Marcos a hero’s burial last February while campaigning in Ilocos Norte, home province of the Marcoses. Marcos’ only son and namesake, Senator Ferdinand “Bongbong” Marcos Jr, is in a tight race for vice president against Liberal Party’s Leni Robredo. The canvassing of their votes start in Congress on Thursday, May 25.